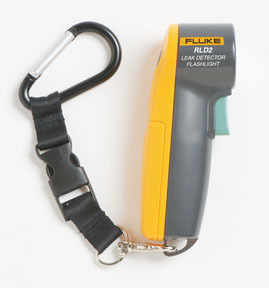 • Compact UV flashlight uncovers refrigerant leaks instantly. • The RLD2 combines leak detection ability with a bright flashlight to illuminate dark areas along with a laser pointer to pinpoint a leak. • Instantly highlights leaks detection dyes.